A little hops and a little head never hurt anyone! If you’re headed on a brewery tour, the key to picking the perfect outfit is keeping it a casual for a day of lounging and enjoying craft brews. Brewery tours are casual affairs, so skip the heels and opt for a pair of booties as you cuff your jeans to show off your ankles. Booties with a slight heel will let you stand on your own two feet (comfortably) for the rest of the day. Brewery hopping always calls for casual attire. Instead of reaching for your favorite wear-to-work blouse, it’s prime time to pull out a cozy tee or your favorite sundress. 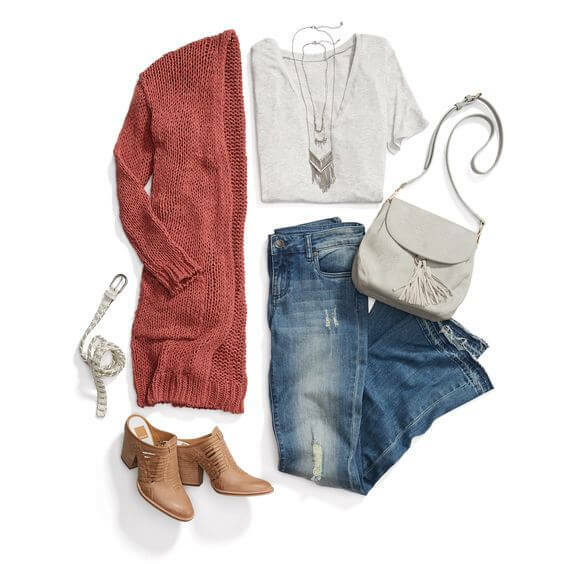 In the cooler months, reach for a sweater to layer over your look and top off your look with a scarf. If the sun’s out, go for a lightweight, knit dress and a pair of strappy sandals. Finish your look off with a versatile crossbody bag for hands-free style and maximum tasting capabilities. A handbag with a zipper or magnetic closure will always be functional, but use your bag to add flair to your look. Tassels, studs and embellishments are perfect for a day of beer tasting. Since breweries tend to be temperature controlled, pack a scarf or a light jacket to keep you warm as you tour, but you’ll probably be toasty by the end of your tasting!